The role of the LCRA is to manage water supplies and floods in the lower Colorado River basin. We all agree that the current historic drought requires sacrifice by water users along the entire Colorado River basin. However, through serial Emergency Drought Orders, the sacrifices have been borne disproportionately by the economic, agricultural, and environmental interests downstream of the Longhorn Dam in Austin. Suspension of the majority of water releases downstream for agriculture and the environment resulted in minimal flows downstream of Longhorn Dam. We wish for the story to be told that insufficient downstream releases impact the quantity and quality of water necessary to support fish and wildlife habitats that rely on a healthy river system and freshwater inflows into Matagorda Bay and the Gulf of Mexico. 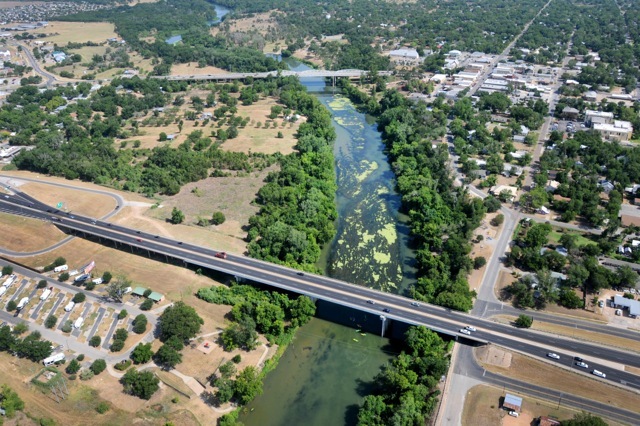 By extension, a healthy river system ensures the sustainability of localized economies from eastern Travis County to Matagorda Bay. The issue isn’t rice farmers versus the Highland Lakes. The issue is water management that benefits all the counties in the basin, including eastern Travis, Bastrop, Fayette, Colorado, Wharton, and Matagorda counties. People along the ENTIRE lower Colorado River basin must unite to advocate for a fair and balanced approach to river management for all parties under all conditions, including responsible planning for both drought and flood control. To achieve balance, sacrifice must be shared from the Highland Lakes to Matagorda Bay. Join us to keep water flowing downstream. Join our email list to get news on the Water Management Plan, coalition events, and water management decisions. Click to learn about our membership and donation opportunities. Your support ensures that our side of the story is told.